The fourth thing women want from men is to be TREASURED as a pearl. If you are wondering why a woman is a pearl, consider this: A fisher who desires a pearl must first dive the depths of the ocean in search for oysters. In other words, He must put in EFFORT and BRAVE an environment to which he is not accustomed. When the diver sees the oyster, he is not taking aback by the shabby look of the oyster but he is filled with ANTICIPATION about the PRECIOUS gem that lies within it. In other words, the diver must not be dismayed by the hard protective shell he sees. He must understand that the protective shell is there to keep the oyster safe from predators. When he finally opens up the oyster, he discovers his prize. He discovers the object of his affection. 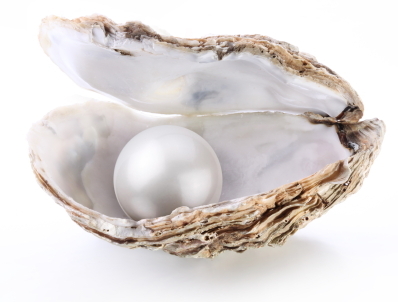 Even then, he must polish the pearl to ensure that the fullness of its radiant beauty is revealed. What does this have to do with a woman? Everything! Men, a woman wants a man to put in the effort to get to know her. She wants him to be brave and intentionally pursue her as a diver would a pearl. And when he finds her, she does not want him to stop at what he sees but she wants him to discover who she truly is (internally and externally). In other words, she wants him to navigate her walls (shell) to unsheathe her beauty. Moreover, when he finds who she truly is, she does not want him to be disappointed that she may still need some polishing. She wants him to be PATIENT with her in this process. Now, a woman does not simply want to be regarded as a pearl but desires to be a pearl of great prize. In other words, every woman want to know that she is different from all the other women (pearls) in the world in the eyes of her man. She wants to know that there is something uniquely special about her that draws her to him. Light-bulb moment: A woman needs to know that she is highly prized by the man to whom she has decided to give herself. She needs to know that she has given herself to a person who will cherish her – not just at the beginning of the relationship BUT continually. The way a man lets a woman know she is a pearl of great prize is by continually showing her AFFECTION. She wants to be surprised from time to time; she wants you to write those little notes of affirmation to her. Going out of your way to do those things you do not care too much about shows her that she made a good decision when she chose you. If you go to a jewelry store, you will find that the jewel of great prize probably has its own special box with a spotlight shone on it. Depending on the store and location, there may even be guard ropes that restrict access to the jewel. Moreover, there may be a special viewing area for the most prized jewels. What this is saying to men is this: Do not ‘rough-handle’ your woman but treat her with a spirit of care and gentleness. Light-bulb moment: Love waits! If you love her, you will wait for her AND you will not pressure her into making a decision she is not willing to make! You will treat her with a spirit of understanding. Just like the jewels, shine a light on your woman! Do this by complimenting her often – in public and private – whenever your heart moves you. Do this by taking note and keeping track of those things that you admire about her daily. Be her strength and shield her away from danger! Oh but how too few men treasure their women today! Men, if you cannot treasure you woman out of a sincere heart of love, then it may very well be that you do not regard her as a pearl of great prize. If this is where you are; if you do not consider her shiny enough to put on display, I want to encourage you NOT to go looking for another oyster! No, every single pearl needs polishing! Polish her with the balm of love and affection using the glove of God. When you do this, you will find that her beauty comes forth. You will find yourself treating her as a pearl of great prize! Food for Thought: Just a we are pearls of great prizes to Jesus, so should a woman be to her man.